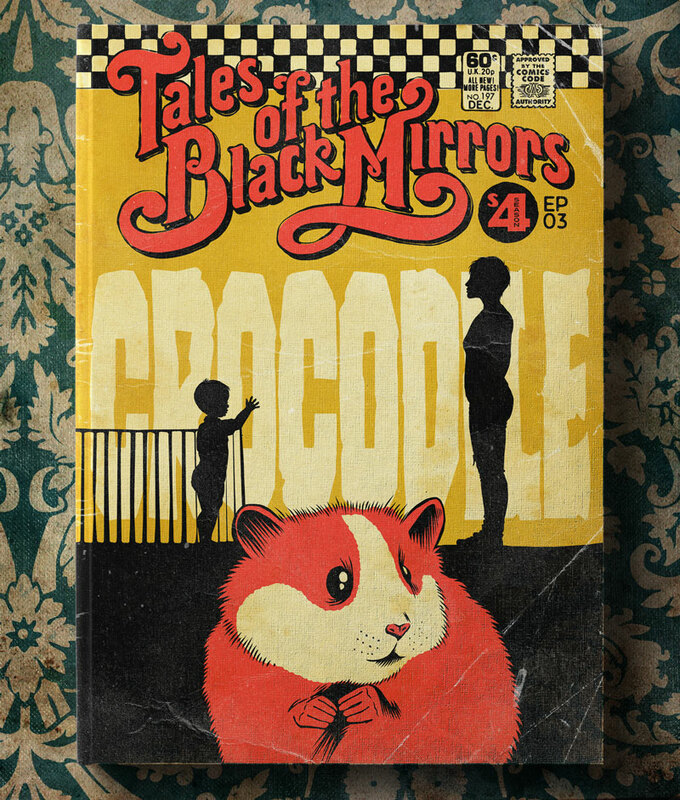 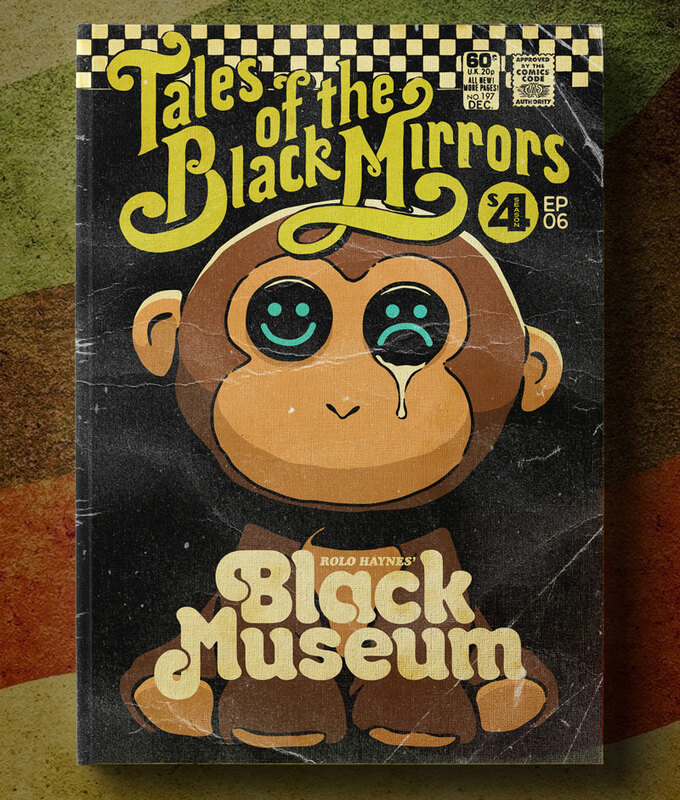 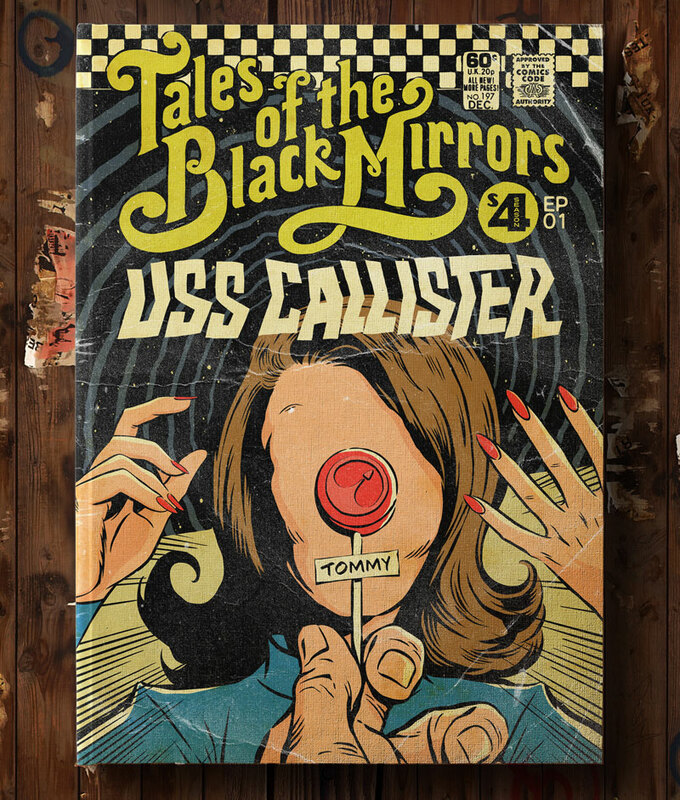 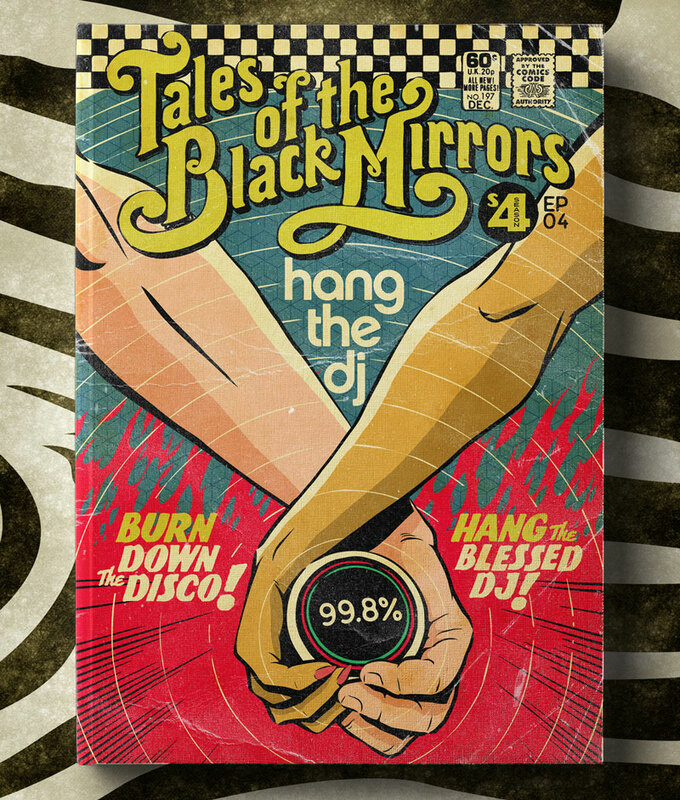 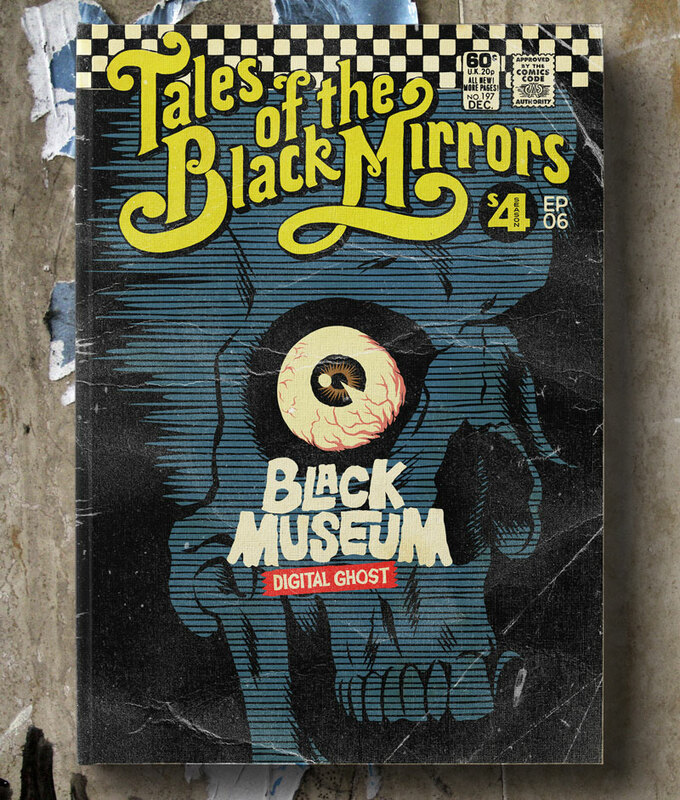 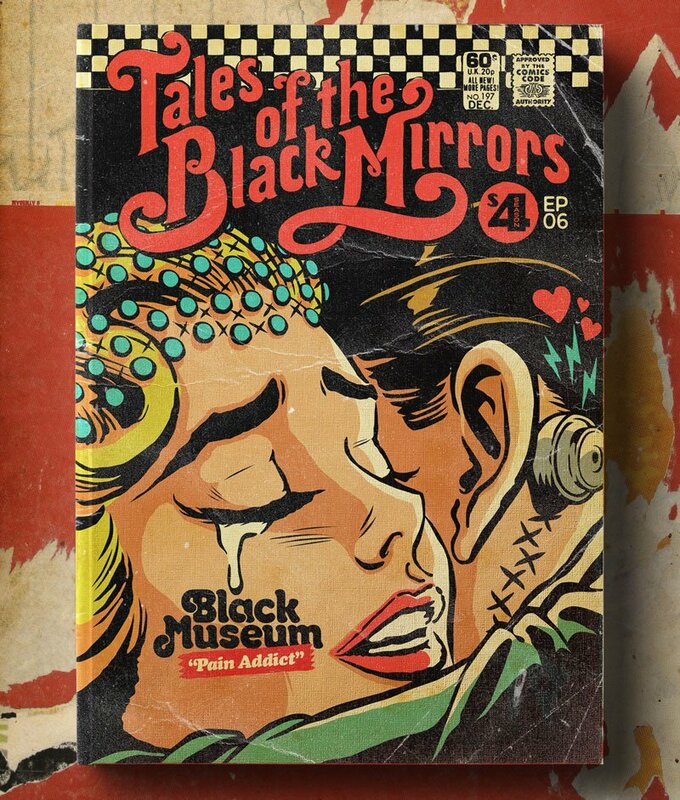 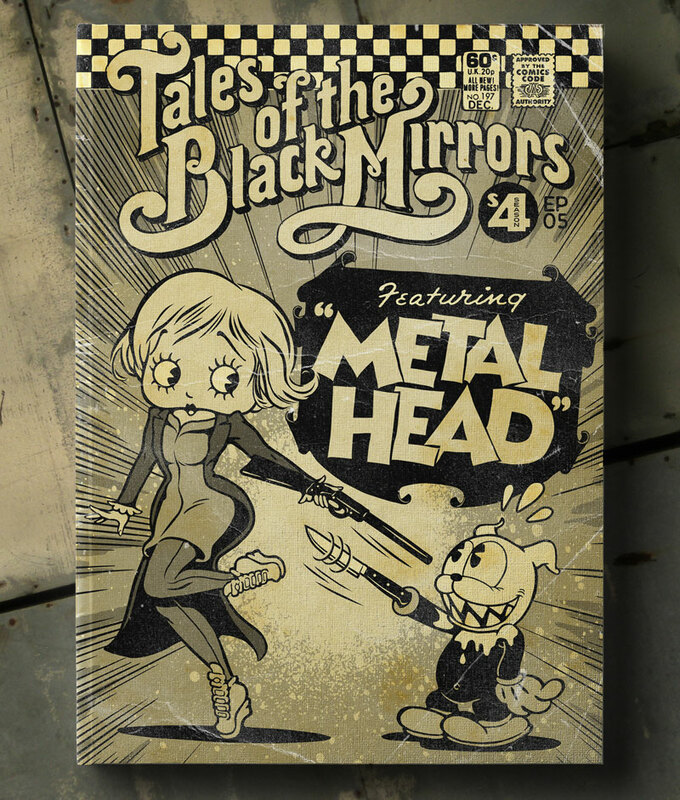 Pop artist Butcher Billy’s latest work is a series of vintage comic book covers based on the fourth season of Black Mirror. 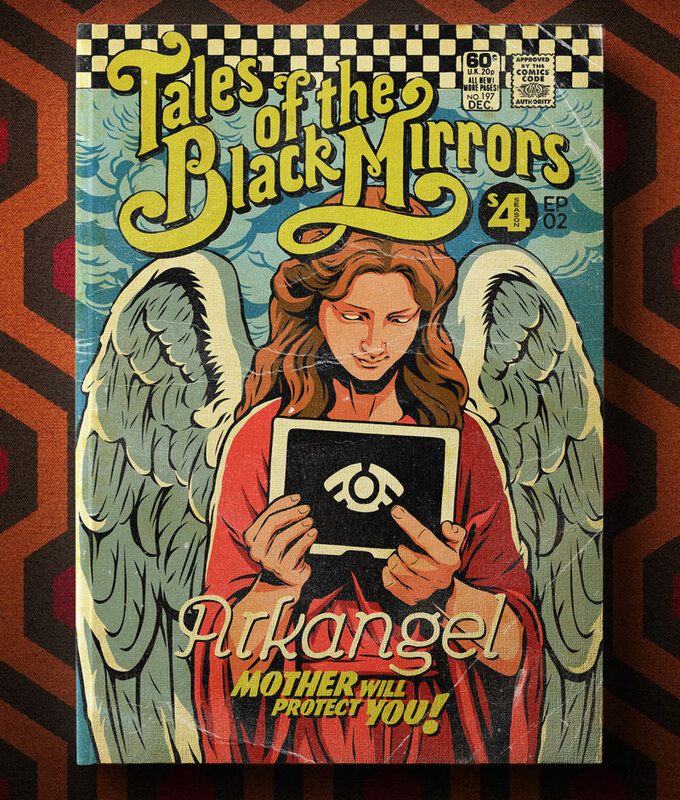 Each episode gets one cover, plus two bonus covers for the last episode. 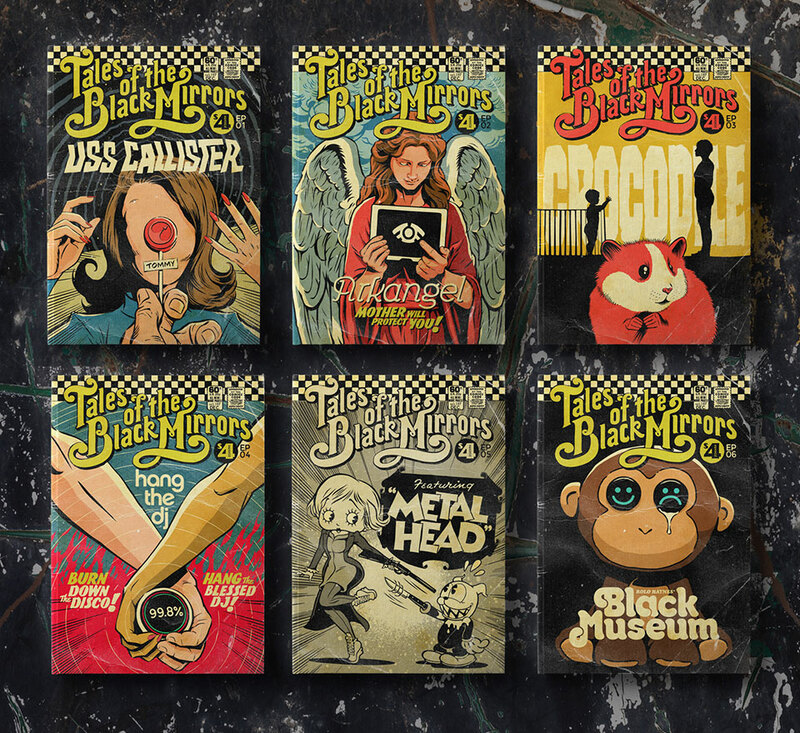 You can get them as posters, tees and more on Redbubble.